Thank you ladies who came to my moon circle offering. 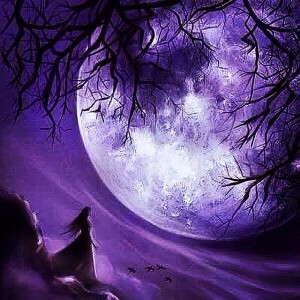 Yesterday’s new super moon and total solar eclipse in Pisces was transformational moon~magic. We created sacred space for our breakthroughs and breakdowns to help us on our individual, personal journeys and also our collective kula (community) heart tribe. Reaching our highest potential is not just a dream but a reality supported by each other, seeing with heart-eyes what the darkness of the moon time has to make conscious. This new moon in Pisces invited, surrendering, releasing, grounding & recognising patterns of rigidity, conditioning & false perceptions, it required unconditional, non-judgemental love and unwavering emotional intelligence. Releasing lower vibrational energies is the perfect invite for cultivating higher vibrational energies. Yesterday was a time to dissolve long held karmic patterns because the energy was intense; magnified by supermoon. The supermoon meant the sun, moon and earth were in great alignment with the moon appearing far closer to us. The wounded healer Chiron also influenced the eclipse so the work we did was tenfold as Chiron can keep us stuck in our old stories and victimhood. But, we took that dive in, using many priestess and yogic tools to mirror back to us our shadow self. Our beautiful shadow messenger has so much to offer us, to usher us through each transformational edge. Fear of it keeps us bound; love of it sets us free. Clearing our energy channels then shines light on where we are planting our new seeds of wisdom and wonder in our lives. Eclipse energies last up to six months so making the most out of last night’s moon circle was a fabulous upshift for us all. Health, emotions, intuition, love, strength and flexibility, new mental synapse pathways created are all higher-self nourishment. Thank you too yoginis for your passion bartering medicine gifts, pictured here. The essential oils specifically made for the transformational moon, essence blended with Jasmin, orange & cypress The incredible, feminine rising artwork (not shown here) but totally fabulous! Rose candles, flowers, wine, apples, dark chocolate, all goddess delicious! Until next time, Aho!